Shwop is a membership-based swap boutique for the whole family. It is the smart way to shop and swap your unwanted or unused items in your closet, drawers and jewelry boxes. Everyone shops, members swap! 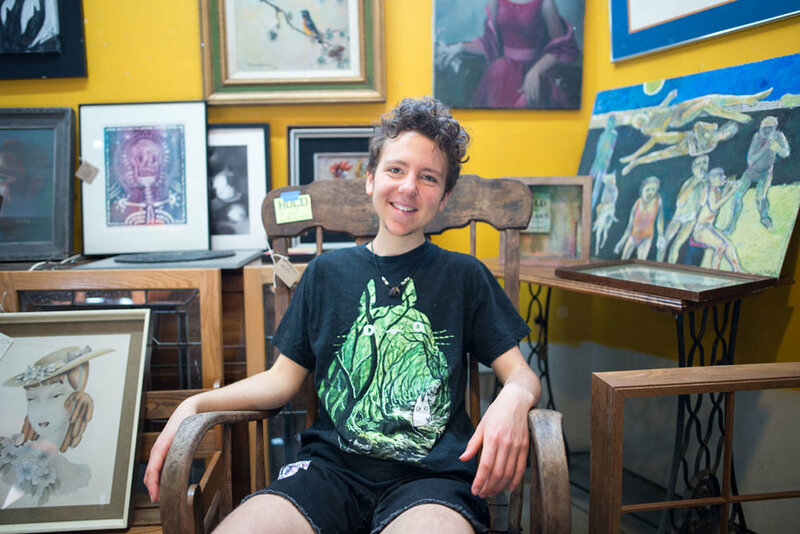 Owner Marci Pelletier is celebrating both the shop’s seventh anniversary and a recent membership drive that reached 1,000 members. Marci is celebrating both highlights on April 20, 2019. She found the current location in Sellwood in October 2018 after she outgrew a few other places in Portland. The inventory comes from members and takes items for the family, including men’s and kid items too. They don’t care about seasons and if it’s the right time of year (think sweaters in the summer!) like some used clothing stores do. And they aren’t brand or style specific, which also sets them apart from consignment shops. Marci shares shop and volunteer needs through social media and frequent membership communications. There is structure around volunteering for those who have capacity to help and she welcomes volunteers to sort on Mondays, when the store is closed. She has offered free pop-up stores for schools during conferences and worked with teachers on clothing drives, particularly in outer Southeast Portland. She sees a need to help others who may have fallen on hard times. Twice a year, she hosts free weekends with no questions asked. She is hosting events, like tie dye and upcycled t-shirt workshops. These are free to members and open to the public for a small fee. There is recycling, and reuse efforts made for items not sellable or wearable. Some textiles and fabrics find homes through relationships with artists; items like denim, flannel and cashmere that can be upcycled into usable, sellable goods. Here are several ways to Shwop! Become a member: Swap to your heart's content. No-swap shopping: Just stop by and shop. Donate: Clean your closet of those items you're not wearing, and they'll donate a shopping voucher to others in need. Curious about this membership-based swap shop? Learn more about Marci from a previous blog post, get your questions answered online or visit the store for yourself! The holidays are a great time to reconsider what we buy. A recent article in the New York Times about buying items to last resonates this time of year because Resourceful PDX is about thoughtful consumption. 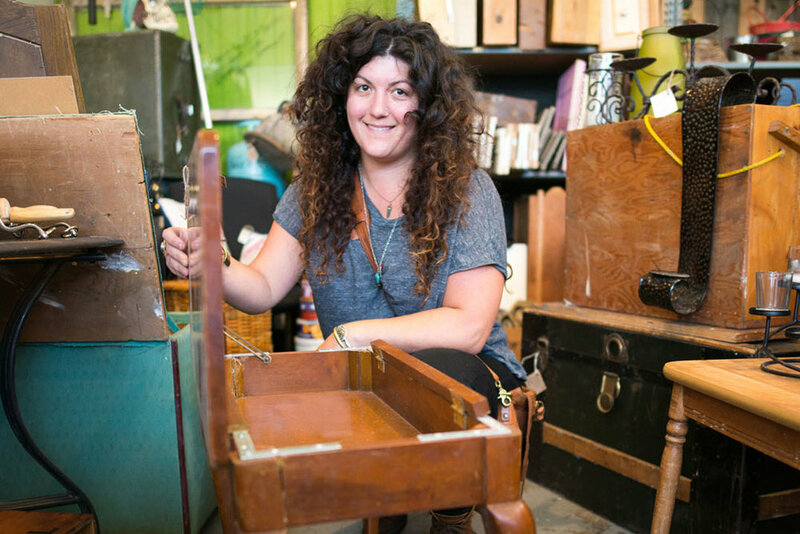 The article highlights one woman’s journey to find long-lasting items that are built to last. The story features Tara Button, the creator of BuyMeOnce. Their tagline reads: We find the longest lasting products on the planet. To save you stress, to save you money, to save the planet. The gist is to move away from throwaway. Seeking items that can last a lifetime may seem old-fashioned, or from another era. However, disposable items or those that are made to break (also known as planned obsolescence) are a waste, in more ways than one. Instead, BuyMeOnce suggests seeking items for yourself or for others that stand the test of time. From socks and sweaters to blenders and mixing bowls, you can search for what you need or want, and get ideas for the holidays too. If you must give a gift of something, consider an item that the receiver wants, needs and is built to last their lifetime. Find out more about BuyMeOnce. And check out the Resourceful PDX blog for more local options to buy smart! Customers at ReClaim It! and Community Warehouse Estate Store told us why they choose to give gently used gifts during the holidays and all year round. Find more ideas to create memories in your life in our resourceful #holiday series. The holidays are upon us - and that means consideration of how we celebrate the people in our lives. We can choose to do things differently. Here’s information on two sources that provide ideas outside the gift box. New Dream empowers individuals, communities, and organizations to transform the ways they consume to improve well-being for people and the planet. They’ve been offering alternatives about gifting for many years, including extensive information and resources about how to celebrate the holidays in ways that are lighter on the planet and your wallet. The SoKind Registry is a registry and wishlist service that encourages the giving of homemade gifts, charitable donations, secondhand goods, experiences, time, day-of-event help, and more. Check out the gift ideas section! 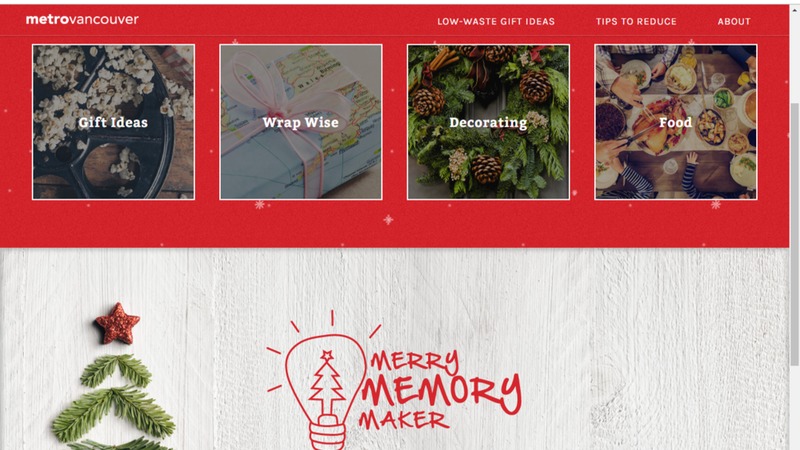 Metro Vancouver, our neighbors to the North have a holiday campaign called Create memories, not garbage. There is a collection of creative gift ideas, tips for gift wrapping and ideas for celebrating the season – all with the intention to create memories and reduce waste this holiday season. Get inspired with gift ideas by price range too with the Merry Memory Maker. Note: The specific places are in and around Vancouver, BC. Check out the Resourceful PDX map for local organizations. Are you already overwhelmed with stressful holiday errands and overspending? Worried about getting buried in all the packaging? Consider a new low-waste way to approach the holidays this year that might save you some money and bring you a little more joy. The Buyerarchy of Needs is a visual guide to remind you of your other options besides buying something new. Is there something I already have I could use in a new way? Could I borrow or swap to get what I need? Maybe a thrift or resale shop has it? Can I make it? Intrigued? Resourceful PDX is your local resource for tips and ideas to make simple changes in everyday choices. 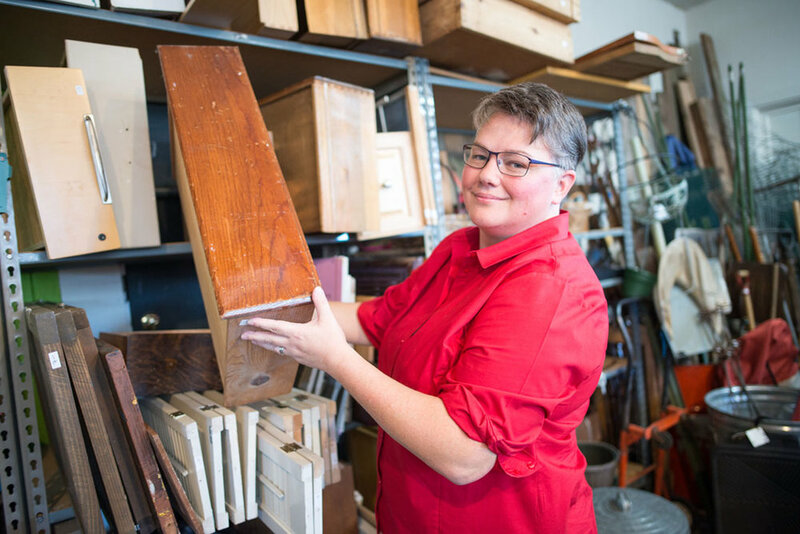 In fact, the Resourceful PDX map includes community-based organizations that help residents reuse, swap, repair and share such items as tools, building or art supplies, household goods or other materials rather than throwing away or buying new. Resolve to be a thoughtful consumer in the new year to save money and resources. Explore the website for more ideas and tips in our resourceful #holiday series. Learn how The Buyerarchy of Needs came to be by designer and illustrator, Sarah Lazarovic. The arrival of the 19th annual edition of Chinook Book includes over 100 Dining offers, with new ones available each month in the mobile app. Breakfast, lunch and dinner options? Check. Coffee, tea, beer and wine? Check. Pizza, sandwiches, donuts and ice cream? Check. 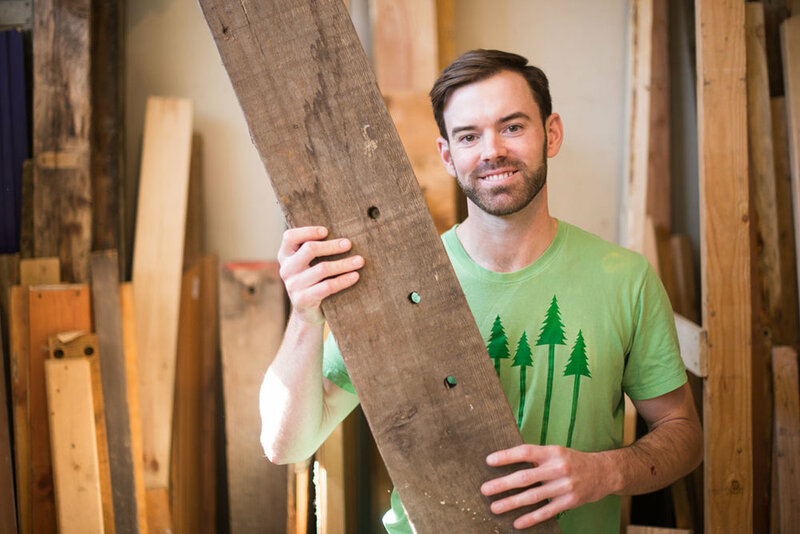 The Chinook Book highlights local, sustainable businesses that thrive in the community by giving back. There are over 500 offers in seven categories this year. The Chinook Book team spends time thinking about businesses and their industries and the approach and criteria with which they appear in the book. The Bureau of Planning and Sustainability and Resourceful PDX included! Find savings by using both the print book and mobile app, available at local retailers and through school and nonprofit fundraisers. And don’t forget, every book includes a 12-month app subscription! The Chinook Book map includes many resources that are also part of the Resourceful PDX map. Get kids ready to go back-to-school with local resources. There are many places to buy smart to help save time and money. The back-to-school shopping season accounts for about 50 percent of annual school-related spending and impacts approximately one-quarter of U.S. households. The average spending per household is $510! Free Geek makes buying repurposed electronics of all kinds an option for any student with their focus on digital inclusion. Computer systems are the focal point of their thrift store space and you can also donate old computers and electronic equipment. PDX Parent offers a list of the many consignment, resale and used clothing shops in the Portland region. SCRAP PDX has supplies to create DIY one-of-a-kind items for school, like pencil bags from fabric, zippers and found objects, or to customize last year’s backpacks by adding sew-on patches or letters. They have paper of all colors and sizes, markers, pens, colored pencils, plus so much more. If you are you interested in diving into more about back to school spending, there’s a survey about insights on spending and shopping trends. In the current survey, 98 percent of people said they plan to buy clothing and accessories and school supplies. Check out past posts about kids in school - and use the Resourceful PDX map to locate resources near you. Jenica Barrett from Zero Waste Wisdom shares her insights for creating less waste. Jenica Barrett started a new, personal journey that began with a six-month challenge. That was three years ago and it is now part of her everyday life. The challenge she set out to complete was a waste audit - where you gather your trash to tally, weigh and itemize for a week or a month. She was a college student back then and now as a graduate student, she leads workshops and presentations about her zero-waste lifestyle. Rethinking how to create less waste is the goal. This can be purchasing a durable coffee mug from a resale or thrift store to buying dried cranberries from the bulk section at your local grocery store. Do I already have something that can do the job? Can I buy this second hand? Is there a more durable option? Can I borrow it from someone? We all have habits – some good, some not so good – that we choose to do. What we do with our waste – recycle, compost or landfill it - is part of our habits too. The average person produces 2.89 pounds of garbage a day per year. That’s 1,054 pounds a year. Jenica chronicles her continued journey by showing the waste she produces each year. In 2017, she created 1.67 pounds, and it fits in a jar! Jenica gets many questions about her lifestyle from workshop participants and online. This gives her opportunities to offer tips to reduce, reuse – and refuse. She said some people get stuck on bringing things themselves (bags, mugs, cutlery). She offers another direction if this is an obstacle – like purchasing an item in a different package. This type of shift is what opens the door to reducing and creating less waste. Keep in mind - the best choice is to avoid any product that is designed to be disposed of after one use. Jenica offers tips, advice, recipes and more on her website and through social media. Learn more at Zero Waste Wisdom. Does your garbage can fill up fast with bulky take-out containers? Rethink how to remove plastics and single-use items at home, work or play. Americans use 500 million straws in the United States every day! Do your part to reduce single-use items by creating a to-go kit so you’ll have what you need when you need it. Change your mindset and start a new habit. Those everyday items you use at home can find another life outside the home – that goes for replacements for napkins, cutlery, coffee and smoothie cups, water bottles, grocery and produce bags - and straws. Try one new option and begin to be consistent until the habit takes shape. This can take the form of buying in bulk, bringing your own container or giving feedback to companies that use excessive packaging. Make a reusables kit for your car, day bag or bike bag. Include reusable shopping bags, a coffee or travel mug, produce bags, cutlery or small containers for leftovers. After you use something from your kit, replace it when you get home so your kit is always with you and ready for anything. Having an on-the-go kit is good if you eat out a lot, make frequent stops at the store, or tend to forget your reusables (we all do!). If you don’t need the straw, plastic cutlery, napkins or a bag, say so! Find more ways to ditch plastics at Zero Waste Wisdom. And if you really want to reduce waste, join the Plastic Free July challenge. Spring break offers tulips, trails and tigers, oh my! A break from school offers many options, both local and those farther afield from Portland, and a chance to explore and spend time together. Plan for the whole week or just one day. Sign up for a spring break camp where you can dance, swim or create – or get outside and take a hike. 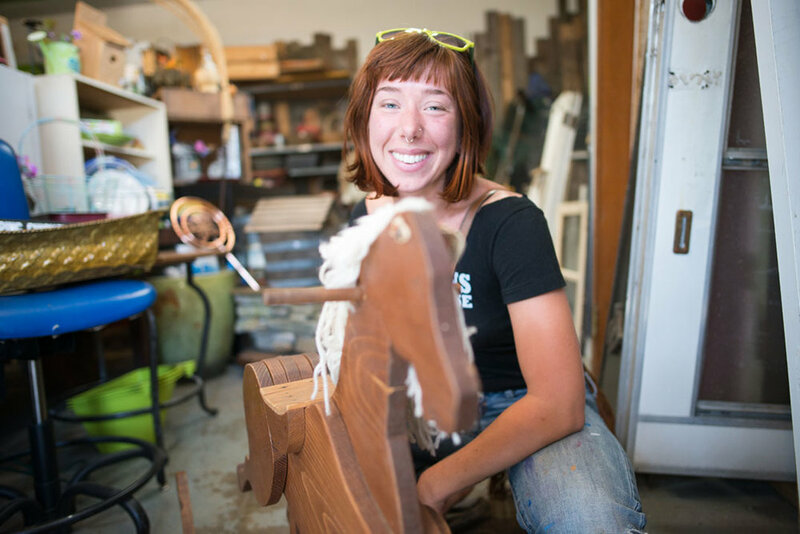 SCRAP PDX offers Camp SCRAP, an art camp centered on themes of creative reuse. This camp is for children who love inventing, making, and bringing their creative ideas to life! Each day there will be a fun mix of staff-led projects and time for free building. How about a one-day activity? Portland Parks & Recreation offers a large variety of options for sports, arts, dance, swimming, science and camps. Located in your neighborhood, these are offered for kids of all ages. Find more spring break camps at PDX Parent. Locate tigers, among other animals, at the Oregon Zoo. The Zoo offers a spring break day camp too! Take a stroll at the Portland Japanese Garden or a hike the nearby Hoyt Arboretum Loop trail. You gotta eat, right? There are many kid-friendly spots around town. Find a new favorite restaurant by asking your kids for ideas or try a new place you’ve been wanting to check off your list. Find local events for the whole family. The 2018 Wooden Shoe Festival runs from March 23 through April 29 and includes plenty of flowers, colors and activities for the whole family. Take a trip across the Columbia River and visit Fort Vancouver. This is a popular national park site in the Pacific Northwest, where your family can experience stories from the pioneer era at four unique sites. Find more local spring break ideas in this article.